Is it time to sell your old car? Every year you drive your old car is one more year you don’t have to fork out for a new one. However…. with every turn of the speedo, you’re one kilometre closer to big repair and maintenance costs. The older your car gets, the more stuff breaks. At some point, it costs so much to keep your old wheels on the road that you’d be better off investing all of the money you’re spending at the garage on a new car. There’s no definitive mileage threshold that tells you when it’s time to upgrade your car. In fact, many of today’s vehicles routinely exceed 150,000 kilometres without experiencing significant mechanical faults. But if you’re starting to think about a new car, these five steps can help you now whether it’s a good financial move. The crucial first step is to find out what your car is worth. The easiest and most reliable way to do this is to ask for an obligation free quote from the team at Are You Selling. The best price guarantee means you will get an accurate valuation straight away, without the wheeling and dealing. You’ll be asked a few questions about the year, make and model of your car, the odometer reading and the condition it’s in, taking any repairs you’re planning to make into account. • Repairs that must be done immediately to keep your car on the road. • Other repairs that can be put off until your next service. • Major maintenance that will come due during the next 12 months based on how many kilometres are on the car. This includes everything from changing the transmission fluid and coolant to replacing worn-out tyres, brake pads and rotors, water pumps, suspension parts and timing belts. Check your owner’s manual for the manufacturer’s recommended maintenance schedule. If you don’t have the manual, any reputable shop can check the schedule for your car and tell you exactly what you’ll need to do and how much those repairs will cost. Postpone that work, and you’ll run a greater risk that your car will break down and stick you with an even bigger repair bill once you’ve been towed to the shop. Take the timing belt, for example. It connects the crankshaft to the camshaft and controls the opening and closing of the valves in your engine. Replacing a timing belt often costs $600 or more. But if you ignore it, you can be fairly sure the worn-out timing belt will fail eventually, badly damaging your engine. Then it would cost at least $2000 to get it running again…. Add up all of the repairs and maintenance you’ll need to do over the next year, and compare it to the quoted value of your car. If you’ll have to spend more than the car is worth to keep it on the road for another year, then it makes financial sense to invest that money in a new car. You aren’t finished if that comparison falls on the side of keeping your old car. 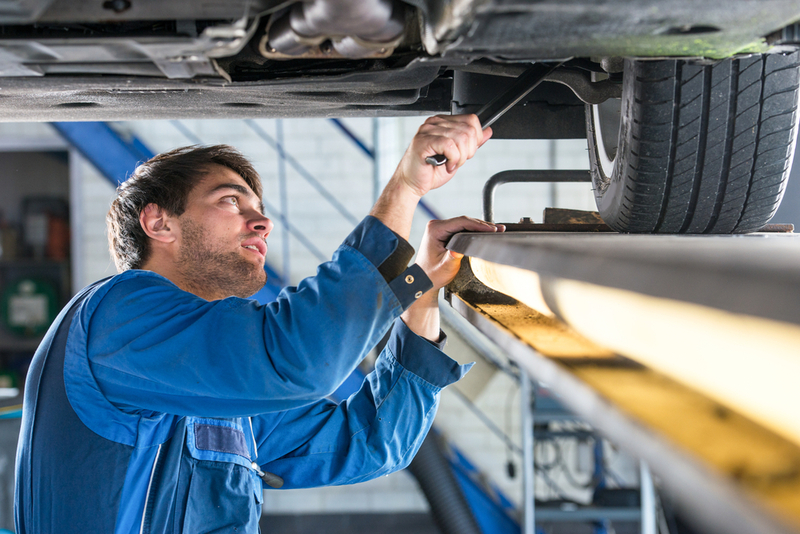 Mechanics can’t look at your car and predict everything that’s likely to break over the next year, so maybe you didn’t have a list of estimated future repairs in Step 2. That doesn’t mean you’re not going to have any. Remember, the older your car becomes, the more costly the repairs will be. Go over your records, and see how much you spent on repairs over the past year. Add your total repair costs from the past year to any critical repairs you must do right now and major maintenance costs you’re looking at this year. Compare that projected cost to the value of your car. If that tips the scales against your car, do yourself a favour and sell it. If this is still a close call, spend the next couple of weeks evaluating your old car. Does it have cruise control and all the latest comforts? Are there any annoying faults such as a dodgy radio or air conditioner? Do you need a reliable car for work? The last thing you want to be doing is paying for repairs, when that money could be going towards a new car.